First begin by roasting garlic. 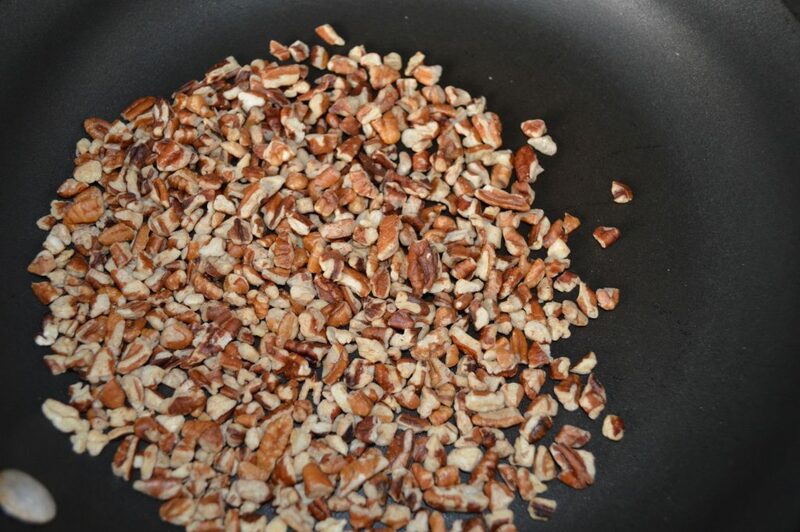 Meanwhile toast the pecans in a dry fry pan over medium heat, stirring constantly so the nuts toast and do not burn. Continue cooking until the nuts are a light brown then take off the heat. 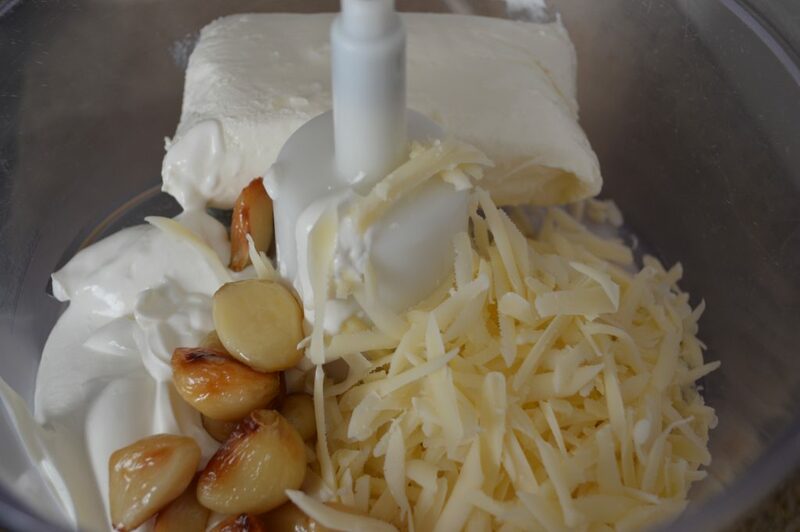 Once the garlic has cooled, squeeze the cloves in a food processor. Add in the softened cream cheese, sour cream and grated Asiago cheese. Mix until creamy and combined. Remove the cheese mixture to a sheet of plastic wrap. Cover it completely with plastic wrap. Chill for 2 hours or until firm enough to to hold a ball. When ready, on a plate spread evenly the chopped parsley and completely cooled toasted nuts. Unwrap the chilled cheese mixture and place onto the parsley nut mixture. Using your fingers, gently turn, or place the nut-parsley mixture all over the cheese ball to cover as much and evenly as possible. Keep covered and in the fridge.